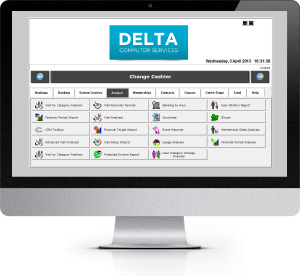 CentreStage Box Office Software has been developed in association with a number of Theatre Venues to provide a comprehensive Theatre Management System designed to meet the need of today’s modern box office. CentreStage has all the features you would expect from a market leader in the entertainments industry. It is installed in a number of venues and we are gradually building up our customer base, determined to operate as a privately owned and independent supplier of quality Box Office & Marketing Systems and to provide a robust and user-friendly solution backed up with loyal and conscientious Support Team. CentreStage was developed in conjunction with Fairfield Halls in Croydon, a 1998 Concert Hall which is complemented by an 800 seat auditorium. Fairfield also sell tickets on behalf of other venues. Seating Plan Designer – the ability to design your own seating plans. Ticket Designer – the ability to design our own tickets. Complete Patron and Prospect Contact Management. Patron Search Engine for Targeted Marketing. Management reports including an on-line option for promoters. Friends/Showcard/Membership facilities including Direct Debits. One-Click Series Bookings which selects the same seat (where possible) for every event in a series. Early bird, Last Minute, Discounted, Group and Series pricing. CentreStage allows tickets to be sold both on and off-line with minimal intervention and includes individual seat allocation. An example of this is the on-line diary which is automatically generated once the performance is setup in the box office, putting a show on-line is simply a case of clicking a checkbox. We believe that CentreStage has all the functionality of the more well known theatre packages but at a more competitive price. It also comes with the benefits of being written by a UK based company with over 30 years experience in real time point of sale solutions and who are committed to developing and supporting products.